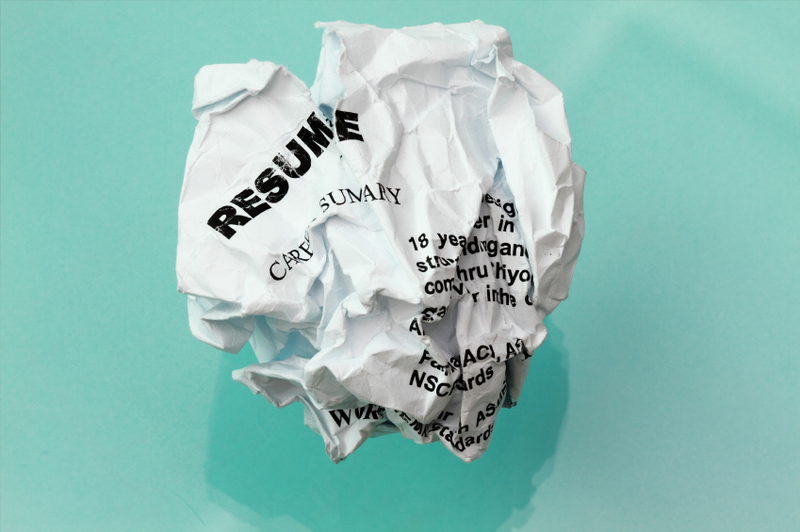 Most people don’t realise how important it is to include specific terms in their CV’s so recruiters can find them. Many companies now use recruitment management software to screen applicants when they have a job listing as they can be bombarded with hundreds of candidates. This is where hiring managers search for keywords in resumes. Include specific job requirements like your skills, any software you are fluent in and technology know-hows, your previous employers and any other relevant credentials. Your CV should include the same words and requirements in the job description in order to increase your chances of finding a match and to be noticed. Use industry appropriate lingo to show your knowledge of the role. Use a job search engine to find keywords by looking at listings. Observe the results, you can determine common and popular themes and use this to combine your CV with the listings. Use nouns and not verbs as employers are looking for skills, degrees, job titles, names of products and software rather then searching for ‘contributed’ and ‘assisted’. Where you need to place a verb, make sure it is strong and portrays your background accurately like ‘managed’, ‘resolved’, ‘generated’ and so on. Take a look at the employers website as it will tell you a lot about the company culture and attitude. This way you can tweak your sentences to sound more familiar and can gain more terminology to use. If words from the job description are mirrored on the web page, it would be advantageous for you to use them more than once for emphasis. 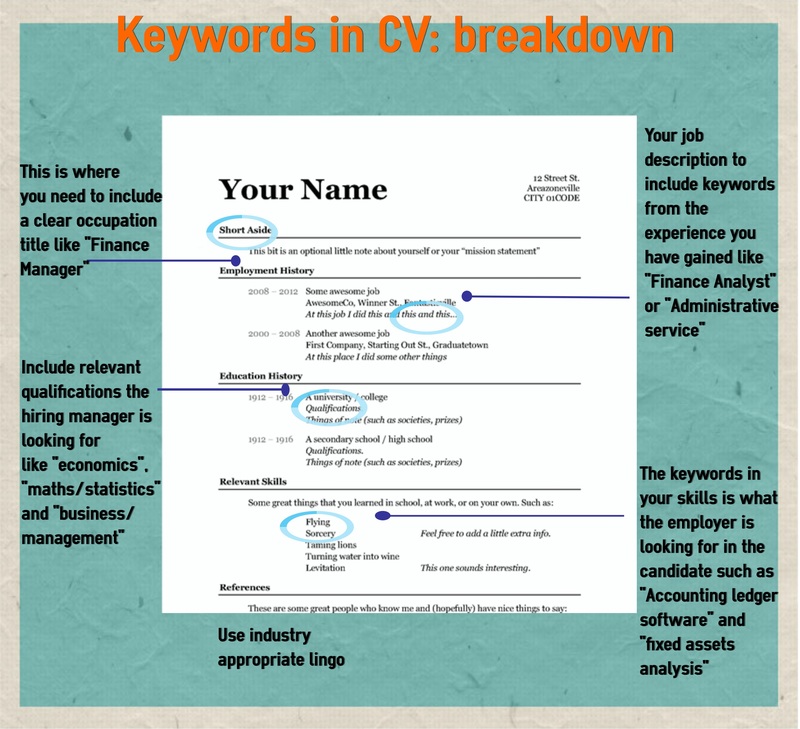 Use keywords as close to the beginning as possible, this way the terms will stick out, not only in the keyword search, but also for the hiring manager who will read the CV in person. When applying for a retail position you could use keywords like ‘inventory control’, ‘brand management’, ‘advertising’ and ‘customer service’. Tourism: ‘travel sales’, ‘galileo booking software’, ‘bookings management’, and specific foreign languages. This entry was posted in CV Advice. Bookmark the permalink. ← Stay Motivated in your Job Search!